“Angels in the Sky,” a story focused on foreign pilots who fought during Israel’s War for Independence, is gaining momentum. Producer Mike Flint, a former Paramount executive, has been meeting with directorial candidates this week for the $60 million project. “This story is a once-in-a-lifetime film that will attract the likes of the very best,” he said. The script, written by Robert Pool (“Armageddon,” “Outbreak”) and Christian Rehr, was completed last week. 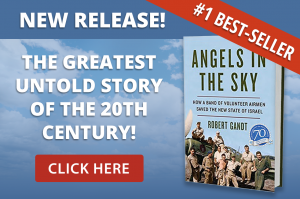 It has been adapted from “Angel in the Sky: My Life as a Fighter Pilot During World War II and Israel’s War for Independence,” as told to Rehr by Flint’s father Mitchell Flint. The story is set in 1948 in the wake of Israel’s declaration of independence, which triggered a nine-month war waged by five Arab nations. Overseas pilots and their crews, dubbed the Machal, made up most of the fledgling Israeli Air Force that turned the tide in Israel’s favor. Mark Lansky, the nephew of Meyer Lansky, is executive producing and financing half the budget. Hal “Corky” Kessler is also exec producing, while co-producers include former Paramount exec Jerry Meadors and Francisco Hamm, former head of the U.S. Air Force’s Los Angeles Film Office. Most of the pilots had fought in World War II, and nearly 30% were non-Jews, many who had become aware of the Holocaust. They used Czech versions of Nazi planes, painting over swastikas with the Star of David. Flint has been dedicated to the film as a result of knowing many of the fighter pilots and hearing their stories firsthand, including that of former president of Israel Ezer Weizman. Flint is current president of the Machal organization and a former head of the Paramount story department. Flint began work on the project more than five years ago as a documentary but eventually decided that the project called for a feature film. The story will focus on four pilots from Brooklyn, California, England and Canada. The air battles of the 1948 war were also the subject of a recently released documentary from Nancy Spielberg, sister of Steven Spielberg. 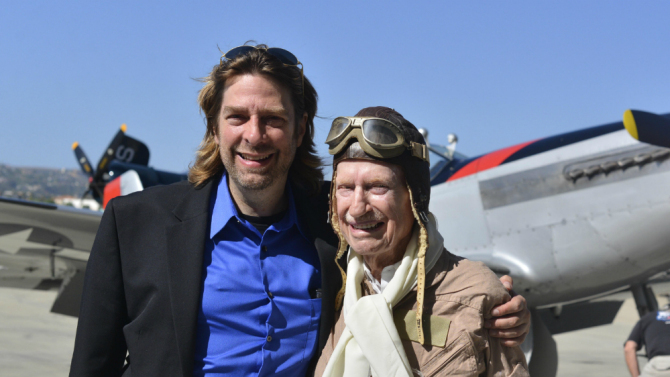 She sold digital and broadcast rights in North America earlier this year to the Orchard for her documentary “Above and Beyond,” which focuses on the American pilots who flew in the war. Join the Crew to be amongst the first to receive Production Updates, breaking news and invitations to special events as Angels in the Sky moves toward its theatrical release.